If you’ve ever wondered what makes a glossary good, or why sites use glossaries, this post is for you. First, we’ll talk about why sites use glossaries and what features of a glossary are important. There are many glossaries across the internet, but not all are useful for readers or easy on the eyes. 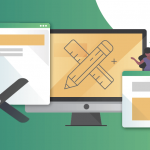 After a solid background on glossaries, we’ll go through how to create a good glossary in WordPress. 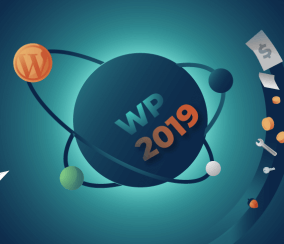 WordPress is the most popular content management system. This makes it the best place to create a new glossary! 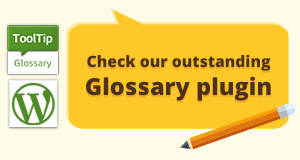 A glossary is a collection of terms and definitions that pertain to a certain subject. A person might use a glossary of car parts if they are looking to understand a problem with a car. A well-written glossary would describe what each car part does. Terms in a glossary specifically increase understanding of a certain subject. In the car part example, the terms in the glossary are specific to understanding car mechanics. Unrelated words like motorcycle or bicycle parts would not fit in a car parts glossary. This is where a glossary differs from a dictionary. While a glossary relates to a specific subject, a dictionary includes unrelated terms. Although some may use the two terms interchangeably, it’s important to note that setting out to make a glossary is not the same as setting out to create a dictionary. The point of a glossary, regardless of the type of site it is used on, is to teach. This should be in the back of every glossary writer’s head when selecting terms and definitions. This means a glossary is useless if it doesn’t effectively teach visitors. If the point of a glossary is to teach, why would websites want to teach certain terms? A glossary is helpful when a topic is explained using different terms by different people in the industry. Take, for example, the very subject of this post. While some people use the word “glossary,” others use “vocabulary.” The two mean the same thing. The average person can quickly interchange the two terms, but if you have only ever heard one term to explain a topic, the new term will throw you off. Not understanding a term can keep readers from engaging with your content. It can even cause some to leave your site because they perceive the content as over their heads. The last thing you want to do is alienate readers. A glossary allows you to include readers who aren’t experts on a certain subject. Instead of avoiding certain words that may be integral to your message, take the time to explain them. 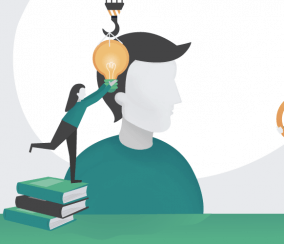 Readers will learn something new and better connect with the content. Also, you won’t run the risk of readers leaving your site to search for a definition. A glossary provides a place for readers to find information if they need it. It is there as an added resource to supplement content. Here are different uses for an online glossary. If you’re trying to teach a particular subject, it is useful to have a central place for students to learn about terms. 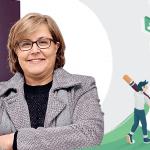 This adds another learning resource to an e-learning website and helps decrease the time an instructor spends answering common questions. Websites that occupy a specific niche can also benefit from glossaries. Niche websites occupy a particular space and that space may involve a specific lexicon. Increase engagement with your niche content and ensure readers who aren’t experts can benefit from it. A glossary is also useful for e-commerce sites. It can be used as part of a marketing strategy. 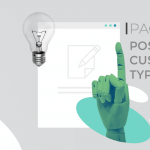 Not only can it be used to describe uses for products, or certain products themselves, you can specifically design glossary definitions to point to your products. For example, if you sell camera parts, include a glossary of camera parts for your readers. Content within the glossary definition can be designed to point to a specific product or groups of products. These are only three types of sites that can benefit from a glossary. A glossary has many more creative uses. Having a good glossary is all about giving readers the information they’re looking for so they can better engage with your site content. 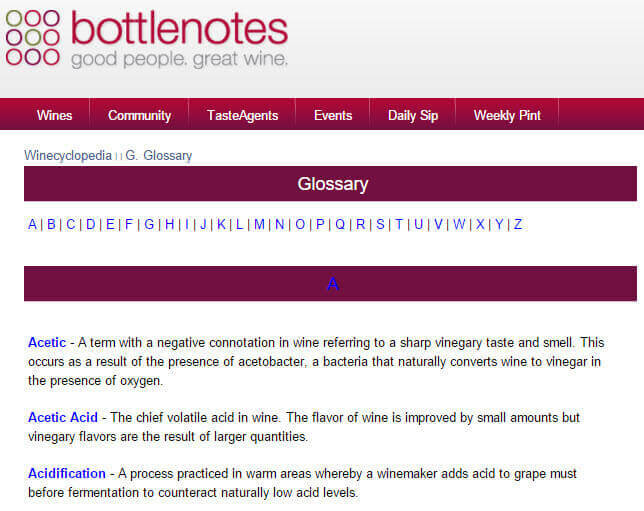 Visitors to your glossary should be able to easily find the term they are looking for. This usually means putting terms in alphabetical order, but if you have many terms, it is more useful to think of alternate ways of organizing terms. 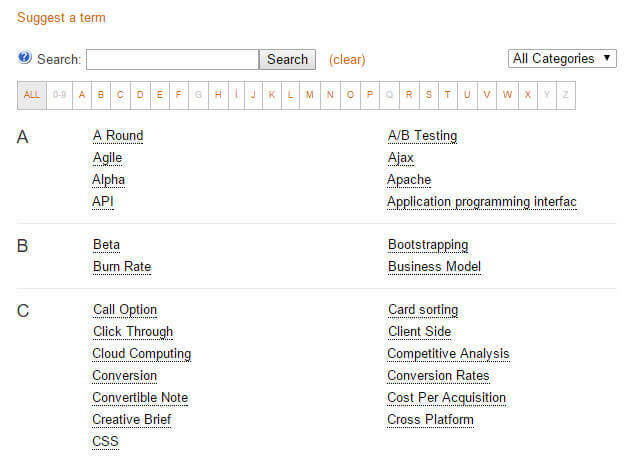 For example, you might organize terms by categories instead of leaving them in one long list. You could also allow visitors to see “most viewed” or “most searched” terms. If many people are looking for certain terms, it is likely they are not the only ones. Many glossaries have an option of seeing only terms that start with a particular letter. This helps site visitors find a specific term a lot faster than if they had to scroll through the whole alphabet. Ease of navigation can also mean adding a search function so visitors can instantly find the term they want. Search is the easiest way for many people to find content. If your definition is as complex as the word you are trying to define, you’re not building a useful glossary. You will only alienate your readers even more. Avoid jargon (words only a specialized group understands) in definitions. Make sure you answer the question “what does this term mean?” Think about what information the reader is looking for when they need a definition and give that information in the most easy to understand way. It may be helpful to have someone unfamiliar with the terminology read the definitions and give their opinion. For certain subjects, images might be incredibly useful for the understanding of a term. Take the car part glossary example used earlier. It might be more useful for a reader to see what the car part actually looks like in order to find it in their own car. Video may also be helpful for explaining terms. For example, procedural terms like a certain technique may be easily explained with a Youtube video. This gives a quick, engaging answer that may provide a better answer than if you only used words. As mentioned before, not every person uses the same word for the same thing. This is why your glossary should include synonyms, or other words people may use that mean the same thing. Make sure your terms and definitions pertain to the same general subject. It can get messy if you try to put several subjects in one glossary. Readers will have a harder time finding the term they want. If you want to add a glossary with several subjects, make sure the subjects have a central theme. Also, make it easy for readers to focus on the exact subject they want by categorizing terms. Amazon adds a handy question under every product review: “was this review helpful to you?” This allows users to give feedback on the usefulness of reviews. Many online reviews will ask “was this helpful?” The same question can be applied to a glossary definition. Allow readers to rate or reply to glossary definitions. Feedback can be helpful when trying to make the best possible glossary. It allows you to make sure readers find the glossary and specific definitions useful. This also allows for filtering by “most helpful” or “most useful” terms. Chances are if many people find something helpful, others will, too. Keep definitions as short and simple as possible. If you’re an expert on a topic, it might be easy to go into extreme detail. Not only are readers less likely to read long definitions, a long definition takes the reader out of the content you want the reader to focus on. Remember, a glossary is a tool to help your readers and enhance existing content, not replace that content. A simple definition will fulfill the need for information and get the reader back to the important part: engaging with your content. 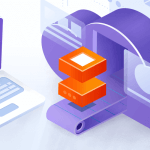 Now that we understand why it’s useful to have a glossary and what a good glossary looks like, we’ll go through how to create one in WordPress. To do this, we will use the CM Tooltip Glossary plugin. This plugin has a multitude of options for creating a customized, elegant glossary. It’s easy to have all the features of a good glossary with this plugin. This plugin not only creates a glossary, it uses tooltips to give readers information without having to navigate to another page. When the reader hovers over a tooltip, a definition appears. This definition can consist entirely of words, or include images or video for better understanding. These tooltips allow readers to learn a new term and get right back to engaging with your content, increasing time spent on the page. Let’s go into detail about how CM Tooltip Glossary works. After installing the plugin, you can start adding terms and definitions. The plugin makes this step easy, as adding terms and definitions is a lot like adding a post. Although you have a lot of space for each definition, remember to keep it simple and on topic. 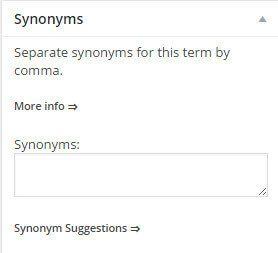 When adding a new term, you can add synonyms. As described above, synonyms help teach people who may be used to different terms for the same thing. For example, if “cat” is one of your glossary terms, a useful synonym to add is “feline.” This means if either “cat” or “feline” appears in your content, the tooltip definition will appear. 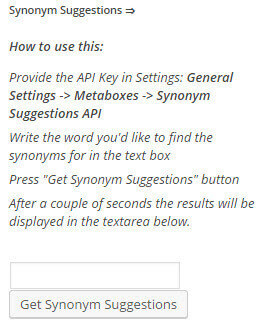 If you aren’t sure about synonyms for a term, you can use the synonym suggestion feature by integrating the synonym suggestions API in the plugin settings. This gives synonym ideas you can add to your term. In addition to providing synonyms for a term, you can add different variations of a term. This is important for the tooltip function. Adding variations of a term ensures the tooltip is shown in your content for variations of the same term. For example, if you use the word “cat” as a glossary term, a useful variation to add is “cats.” This means when either “cat” or “cats” is used in content, the tooltip definition will appear. You can also add acronyms and abbreviations of terms! 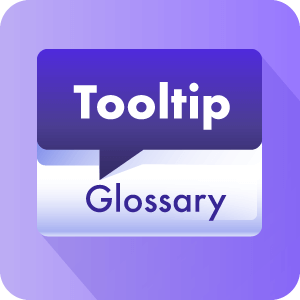 The Tooltip Glossary plugin lets you connect related glossary terms or articles. These include posts or pages on your site that reference glossary terms. Related terms and articles show at the bottom of the term page. You can customize how many related articles are shown in the plugin settings. You can easily add different types of media to your glossary definitions with CM Tooltip Glossary. This makes it easier for users to engage with definitions. Easily connect to different sources of information to include in tooltips. Add a definition straight from the dictionary, Wikipedia, or add product recommendations from Amazon. 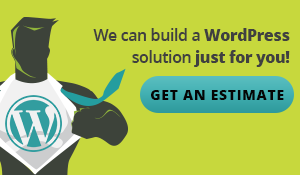 You can even add WooCommerce products on your site inside a tooltip with a link to buy the product to increase your marketing strategy. This is one function that makes CM Tooltip Glossary perfect for e-commerce sites! Add tags to your terms to separate them into different categories. 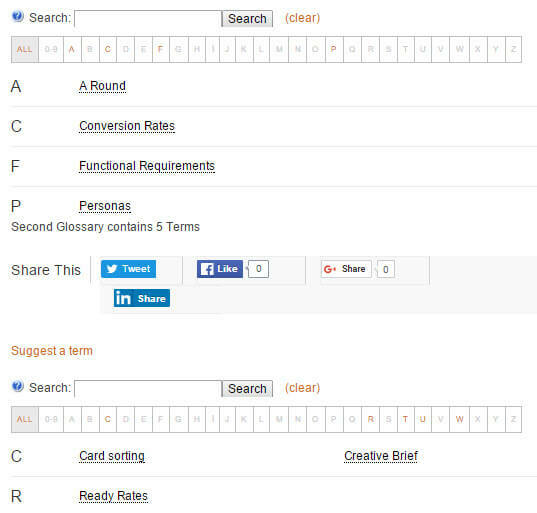 These tags are searchable, making it easy for site visitors to find categories. Import or export terms to/from your site as a CSV file. This is helpful if you want to transfer terms and definitions between sites! 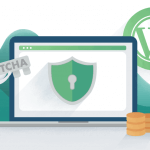 Terms and definitions integrate with WordPress SEO plugins. 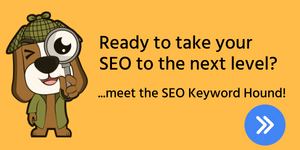 They also increase your site’s SEO by building internal links. Customize the font of your terms/definitions to fit your site by choosing from a list of fonts available. The CM Tooltip Glossary Skins add-on allows you to customize the tooltip’s shape, color, opacity, and more! There are three different templates that can be used to organize the glossary page: Basic, Modern, and Tiles. Choose to highlight terms in different post types. You can customize what highlighted terms look like in the plugin settings. Choose whether to allow comments on term pages. Allowing comments on terms and definitions can give feedback important for ensuring a good glossary. Option to display term sharing to Twitter, Google+, LinkedIn, and Facebook. Tooltips are responsive, so you won’t have to worry about viewing on mobile devices. Create multiple glossaries on one site and keep them separate. 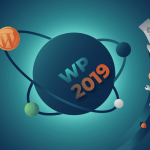 This plugin includes support for multilingual sites and WPML plugin. The CM Tooltip Glossary plugin is a handy tool for many different sites looking to create a useful, elegant glossary. This plugin has tons of features and several add-ons available to add even more functionality. One add-on, CM Tooltip Glossary Log & Statistics, tracks tooltip statistics to see how readers are interacting with your glossary. Find out which terms are popular and how often readers hover over or click on tooltips. Another add-on, CM Glossary Community Terms, allows anonymous and registered users to suggest new glossary terms. 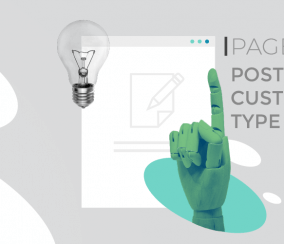 This is another way to increase engagement with your site, while getting feedback to build a great glossary. The beauty of this plugin is in the tooltips, which allow readers to understand a word quickly and get back to engaging with your content. This increases time spent on your site. 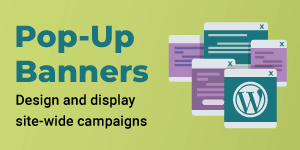 These tooltip definitions can easily become a part of your site’s marketing strategy, no matter what type of site. 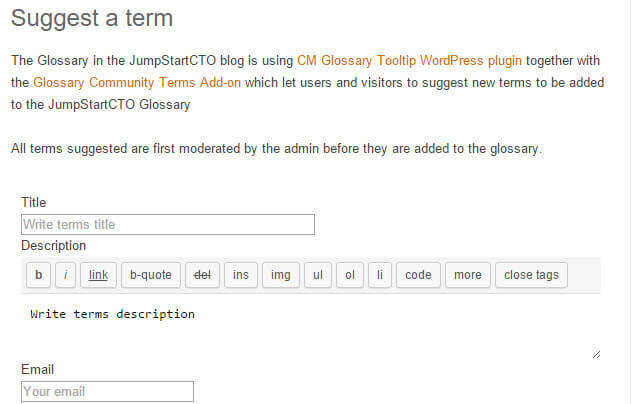 To see the CM Tooltip Glossary in action, visit the plugin demo!